The 32329 Power Connector is shipped attached to the CR310 datalogger. 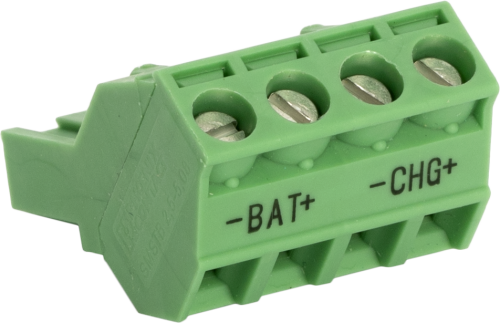 This lockable connector provides screw terminals for connecting a 12 V battery and/or 16 to 32 Vdc charging sources, such as a power converter or solar panel, to the CR310. The 32329 may be purchased to replace a lost or damaged universal terminal connector. The CR310 lockable terminal plug has four screw terminals with gold-plated connections and 5.08 mm (0.2 in.) pitch. The 32329 accepts wire sizes from 12 to 30 AWG. This terminal plug is compatible with the CR310 Datalogger.